Over the past year, Facebook and Microsoft have been working together on an incredible project to add internet connectivity infrastructure to support the ever-expanding population that’s accessing the web. We keep talking about how so much of our data and connected services live in the cloud, but most of our access to them from around the world – about 99 percent, in fact – is actually made possible by submarine cables laid on ocean floors, thousands of feet below sea level. While we’ve been using this sort of infrastructure since the mid-1800s for telegraph systems, the technology to lay submarine cables and enable connectivity through them has advanced in leaps and bounds since, going from carrying simple text messages to the equivalent of 200 compressed copies of the entirety of Wikipedia per second. With the Marea project, the two aforementioned tech giants collaborated with Spanish telecom infrastructure firm Telxius to lay an undersea cable that’s 6,600 kilometers (~4,000 miles) long between the Virginia Beach in the US and Bilbao, Spain, to transmit data at a speed of up to 160 terabits per second. For reference, that’s about 20,000 hours’ worth of Netflix HD video. 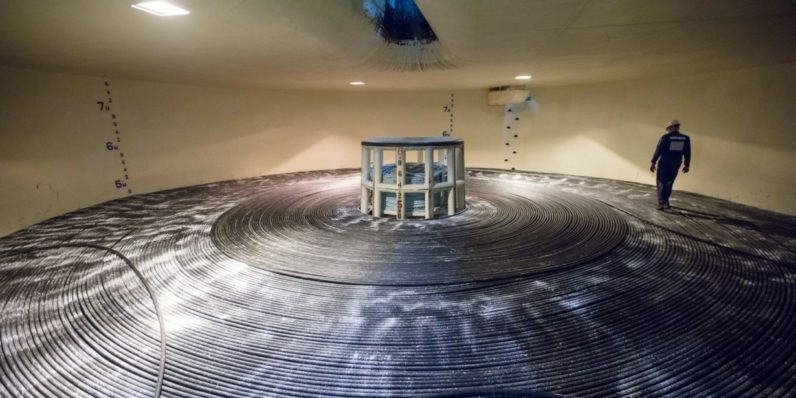 Microsoft says this cable is the most technologically advanced one of the lot and is the highest-capacity cable in the world; it can be upgraded to support higher bandwidth in the future. Why do Facebook and Microsoft have skin in the game? They both need to be able to deliver their services reliably at high speeds across the world, and that will prove more crucial, and more difficult, as the next billion users come online. Facebook wants people to hop on its social network and share their data with the company; Microsoft wants to make its wide range of cloud services, including Office 365, Skype, Xbox Live and the Azure platform more easily available in new markets. All of using several apps from both companies adds up to massive amounts of data, and one of the ways they can consistently deliver the quality of service we’re used to is to run and manage their own infrastructure. In a story from when the project was announced last year, Wired pointed to research firm Telegeography’s finding that more than two thirds of the digital data crossing the Atlantic traveled on privately managed networks. With that, the world now counts more than 420 undersea cables connecting computers and networks around the globe. The physical construction has been completed in just over a year, and the cable will be fully operational next year. If you’re as fascinated by this as I am, you might want to tune into the Marea project celebration at 9:30AM ET / 6:30AM PT. Vox also has a cool video above detailing a map of these cables worldwide, and there’s an interactive map created by Huawei Marine Networks that you can explore yourself on this page.